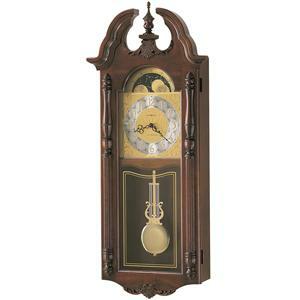 You'll be set with the addition of this beautiful clock in your home decor. 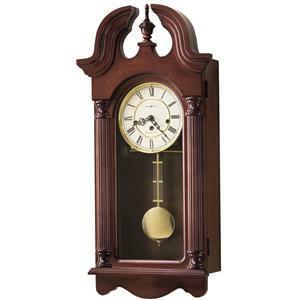 The piece carries a Windsor Cherry finish on select hardwoods as well as veneers and features an elegant wall clock that offers a swan neck pediment with rosettes, turned finial and inlaid keystones at the center. The dial offers a polished-brass finish with a silver chapter ring and a midnight blue fixed moon phase. 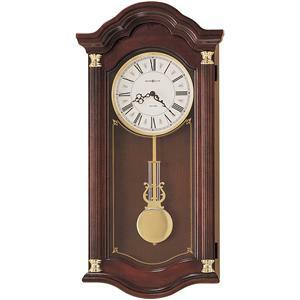 The substantial reeded columns offer turned column caps as well as polished brass pendulum, which is designed to complement the dial. 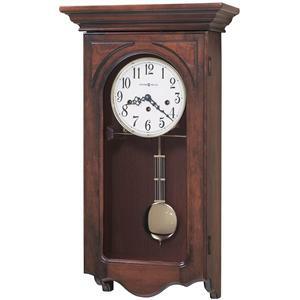 Plus, the front opening door allows easy access to the movement while the quartz, dual-chime movement plays Westminster or Ave Maria chimes and includes volume control as well as automatic nighttime chime shut-off option. 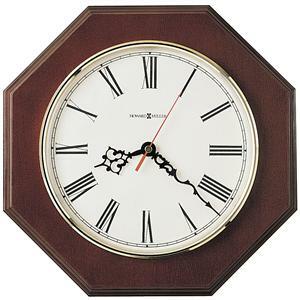 There will be a lot to like with this gorgeous wall clock in your home setting. 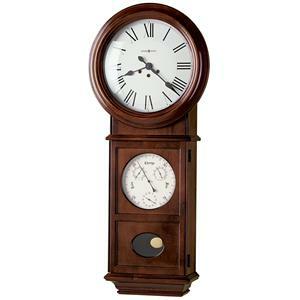 The 620 Maxwell Wall Clock by Howard Miller at Wayside Furniture in the Akron, Cleveland, Canton, Medina, Youngstown, Ohio area. Product availability may vary. Contact us for the most current availability on this product. Pendulum Description Polished brass pendulum, which is designed to complement the dial. 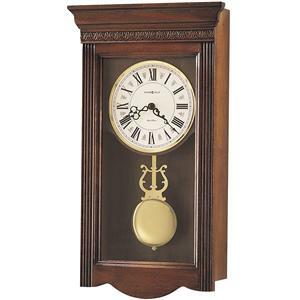 Chime Description Quartz dual-chime movement plays Westminster or Ave Maria, includes volume control, and has an automatic nighttime chime shut-off option. 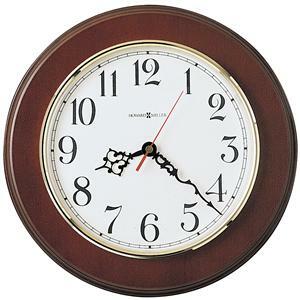 Finish & Paint Options The dial offers a polished-brass finish.